View now or at Strutt & Parker’s National Open House Day on Saturday 11 May. Residential Development opportunity. Grade II listed 5 Bedroom farmhouse, annexe and extensive range of outbuildings with planning permission for conversion. Church Farm is a substantial Grade II listed farmhouse with an abundance of charm, character and period features throughout. The property has both an A-frame and a crook frame, a large inglenook fireplace, and the windows to the front and side have stone mullions. The accommodation within is arranged over thirteen different levels which only adds to the charm of the property. All of the rooms within the property are well proportioned, at present there are 5 reception rooms and 5 bedrooms in the main house but these rooms could be utilised in a number of different ways, to suit the requirements of a prospective purchaser. The annexe which can be accessed from the main house and also by its own entrance has accommodation arranged over two floors. There is a kitchen/breakfast room, sitting room and a bedroom with an en suite shower room. 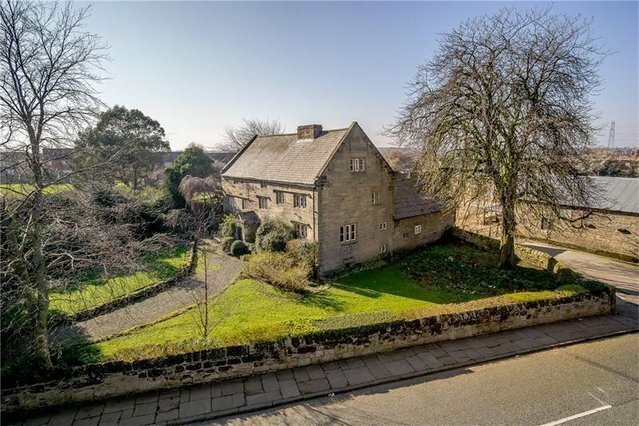 The Grade II listed outbuildings have planning permission for conversion into 6 units. Full details of the approved planning permission can be provided on request. Each property will have its own designated parking area and garden. In summary the development allows for the following.